I always allot a piece of my busy schedule to my friends inviting me for a food trip and get together. Dude! It means happy tummy and I wouldn't say no! Would you? 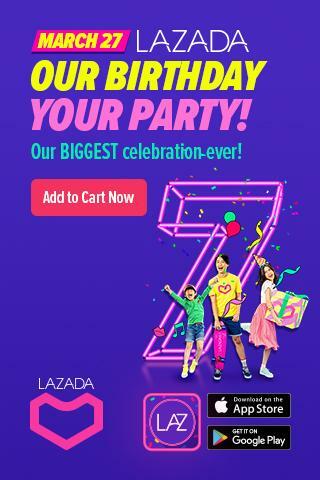 Wehh? 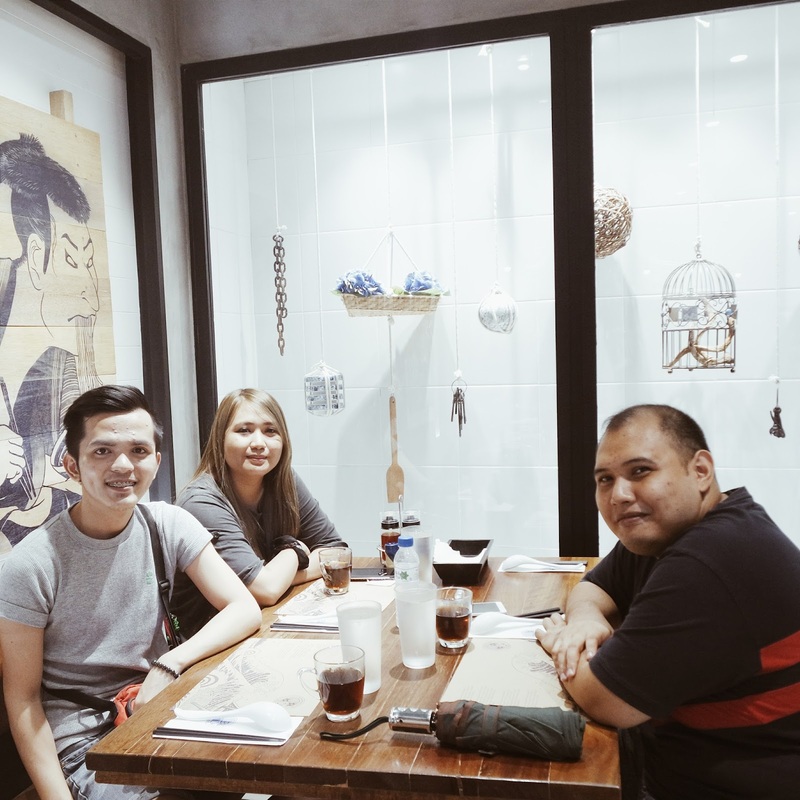 Last week, my Japanese food buddies (Pam and Gudo) invited me to a small talk and of course, it means eating lol! 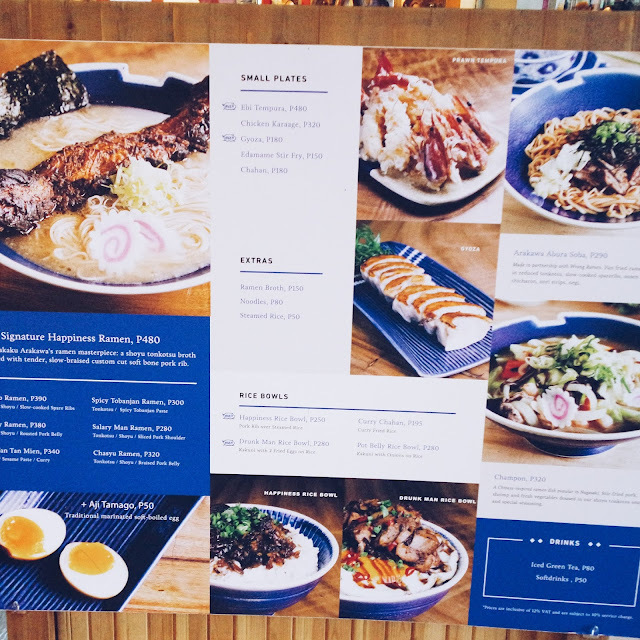 Our original plan was to eat at a buffet house along Morato but I craved for Ramen and Gudo suggested Hanamaruken. Hanamaruken was created by a family of butchers in 1982. It is a subsidiary of the Arakawa Pork Company, a reputable supplier of high-quality meat in Osaka, Japan. With over 40 branches in Osaka, Hanamaruken strictly follow the philosophy that ramen should be made with excellent meat and prepared by passionate chefs. 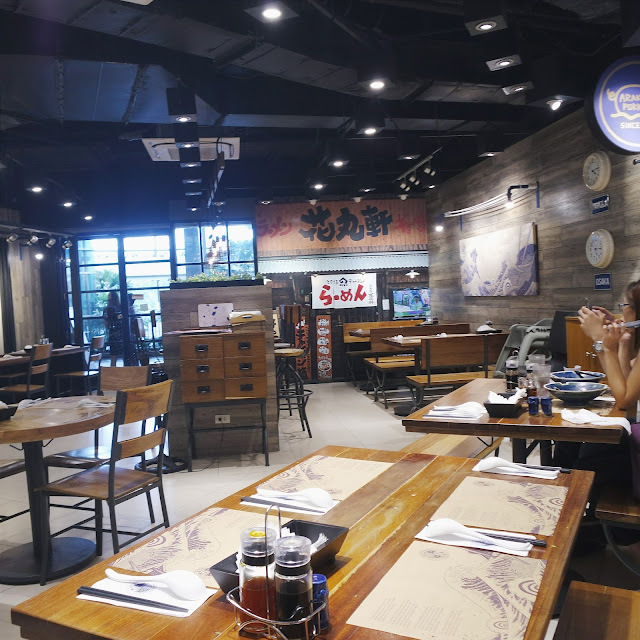 Their cozy ambiance will surely resurrect your Asian spirit with the wooden chairs and tables where you can comfortably eat. 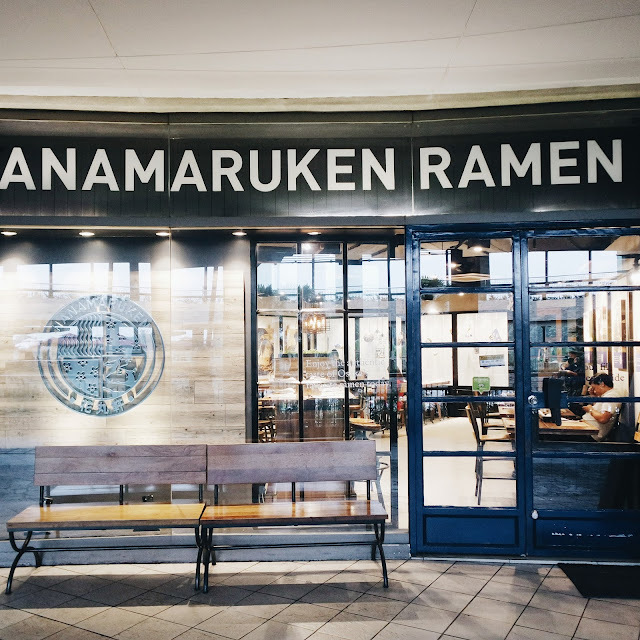 It was my first time at Hanamaruken so I was looking for a chicken or fish-based Ramen but they unfortunately don't have one. Gudo suggested the best selling Happiness Ramen instead. Their signature Happiness Ramen was inspired by creating a distinct marriage between meat and Ramen. It is topped with a dark, tender, slow-braised soft bone pork rib that has gained a devoted following. We waited for 10 minutes for the Happiness Ramen to served. I must say that their Happiness Ramen (P480) is one of the best tasting pork-based Ramens I've ever tasted. Ever! As you can see, it comes in a giant very Asian bowl hehe. The broth itself is very rich and flavorful without compromising the authentic kick of Ramen. 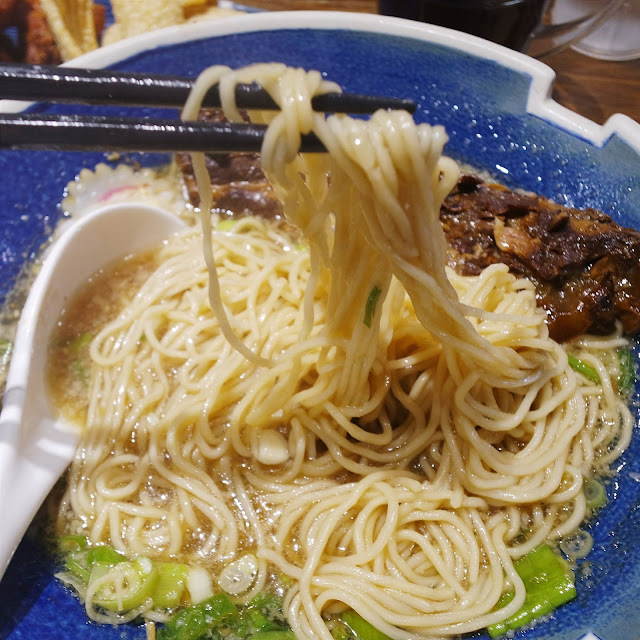 Its thick noodles occupied a big space of my tummy not to mention the giant braised pork rib on top. 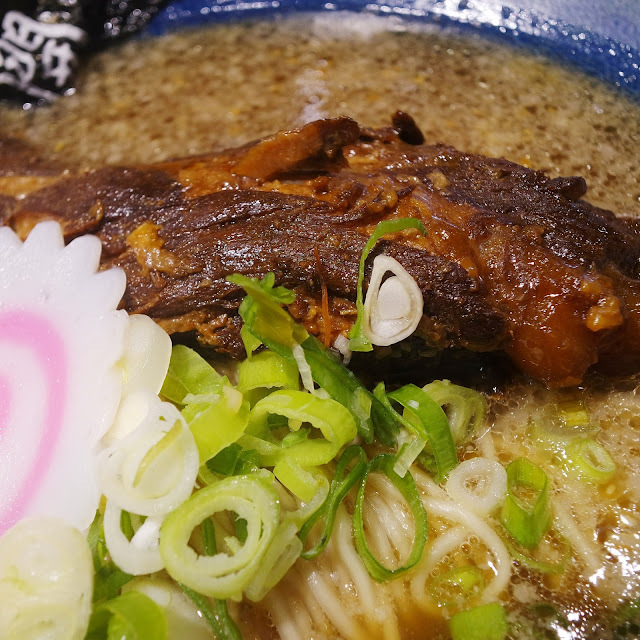 I just don't like that the Ramen is kinda greasy than usual, it might hinder other people to try it (specially our health conscious dudes out there). 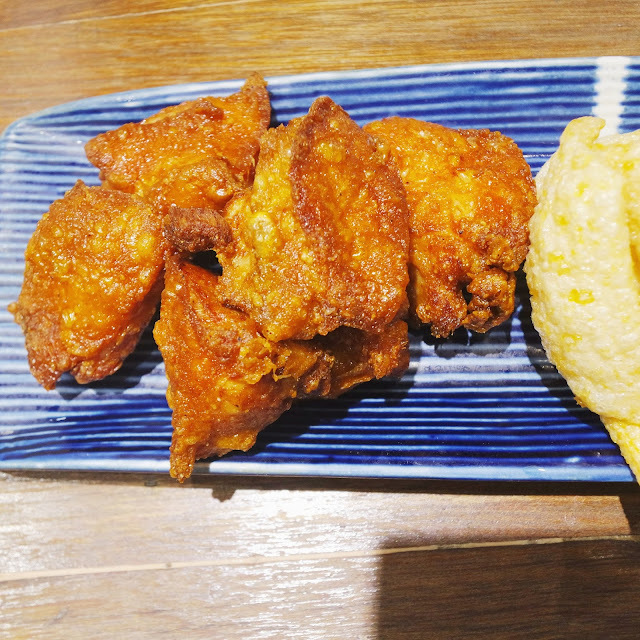 Karaage is a Japanese version of fried chicken and it tastes amazingly good. 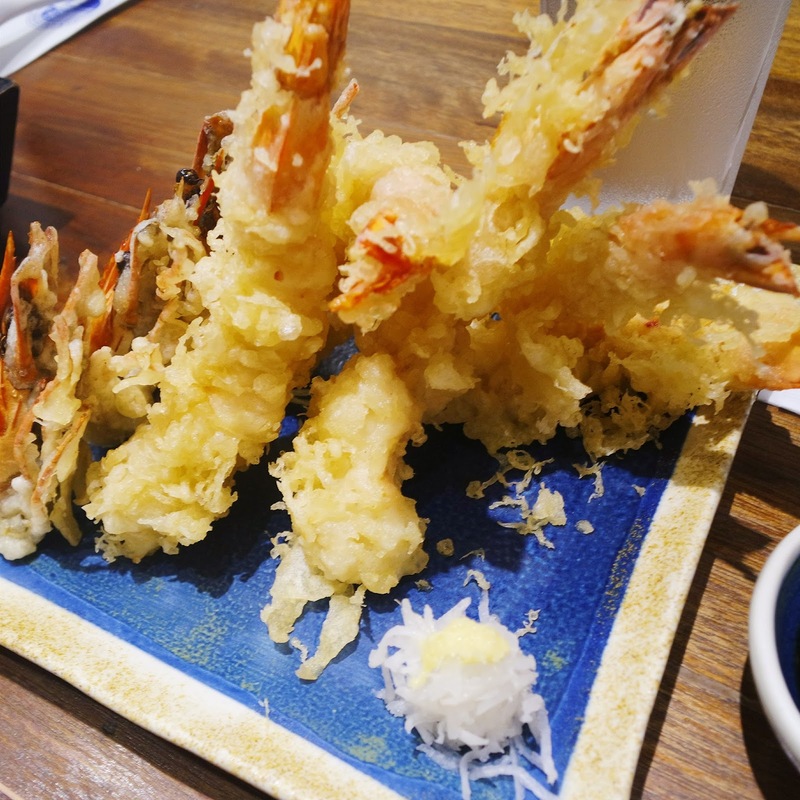 Tempura is a battered and deep-fried shrimp (like your friend, shrimp lol) their version tastes good too. Overall, we enjoyed our food and the ambiance at Hanamaruken and we'll definitely back for more. Their foods are a bit pricey but reasonable. I highly suggest Hanamaruken specially if you wanna treat yourself and make your tummy smile. 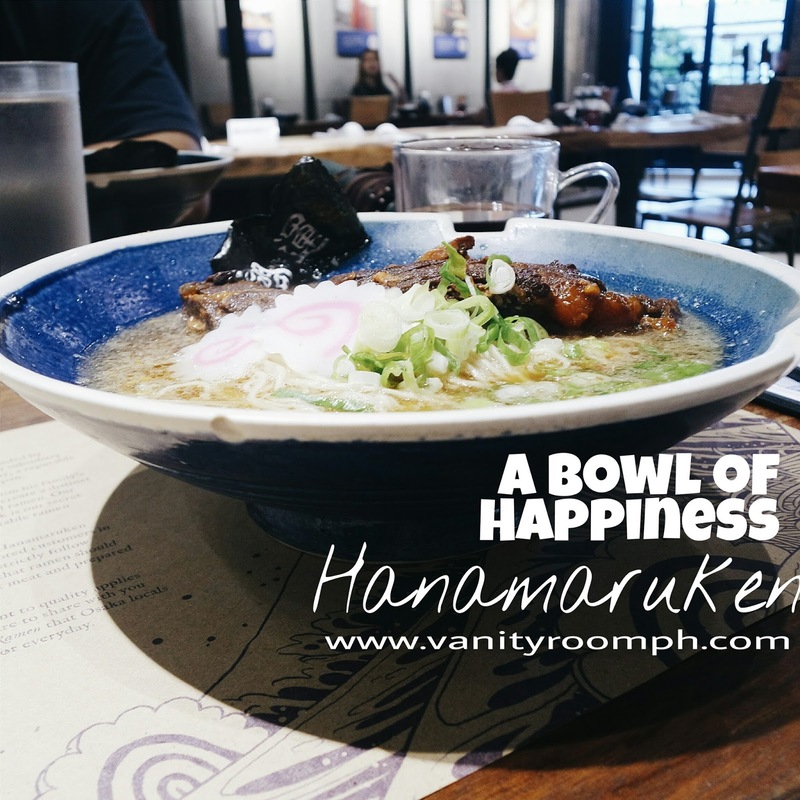 Try their Happiness Ramen and you'll surely be satisfied.